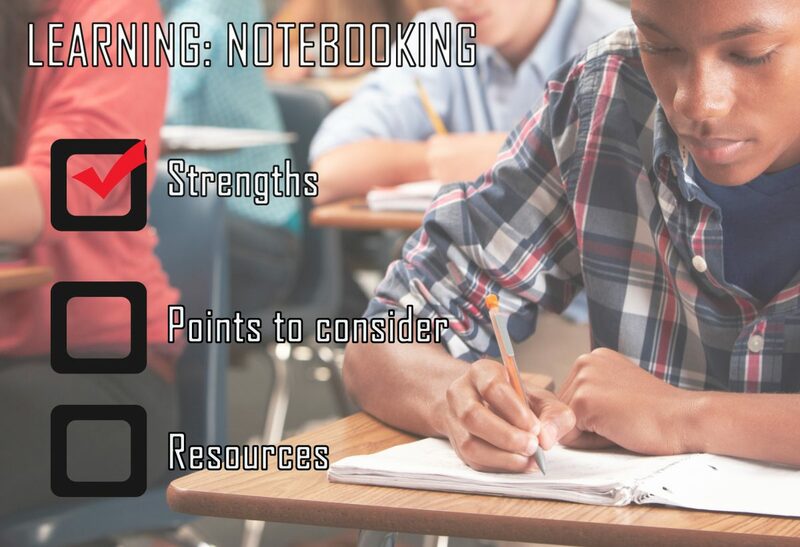 Notebooking is not a homeschool philosophy, but rather a popular method for students to journal and reinforce their learning. Journaling is an ageless discipline that not only records the journey of learning, but develops a child’s writing voice and creative talents. Written narrations, copywork, timelines, reports, lists, observations, drawings, maps and photographs are some of the items that could be included in their notebooks. Lapbooking is a similar process, but a file folder that contains a variety of “mini books,” foldables, and other materials is used to cover detailed information about a single topic or unit of study. The use of notebooking or lapbooking can be used to informally evaluate a child’s learning, and tests are often put aside. Homeschooling with the notebooking method includes activities such as: reading; watching or visiting any variety of sources on a subject; oral narration of what he has read or observed; doing some copywork; writing (narration, list, poem, quote, etc. ); drawing a picture or colouring a map or timeline figure; and, showing grandparents or friends their growing notebook or lapbook collection.